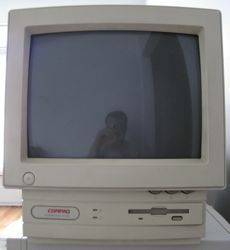 I don't consider this low-cost, all-in-one computer from Compaq a proper *nix workstation. But I think it deserved this page because of the interesting form factor. 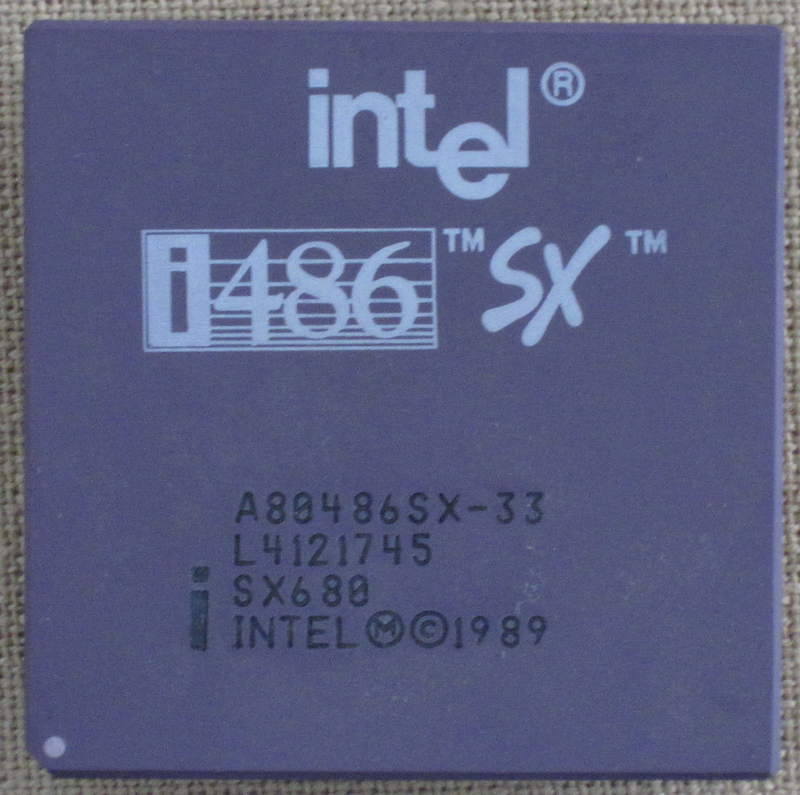 The CPU was upgraded to an Evergreen 586 / AMD 5x86 133MHz. The original CPU was an Intel 486SX 33MHz (Ran NetBSD). 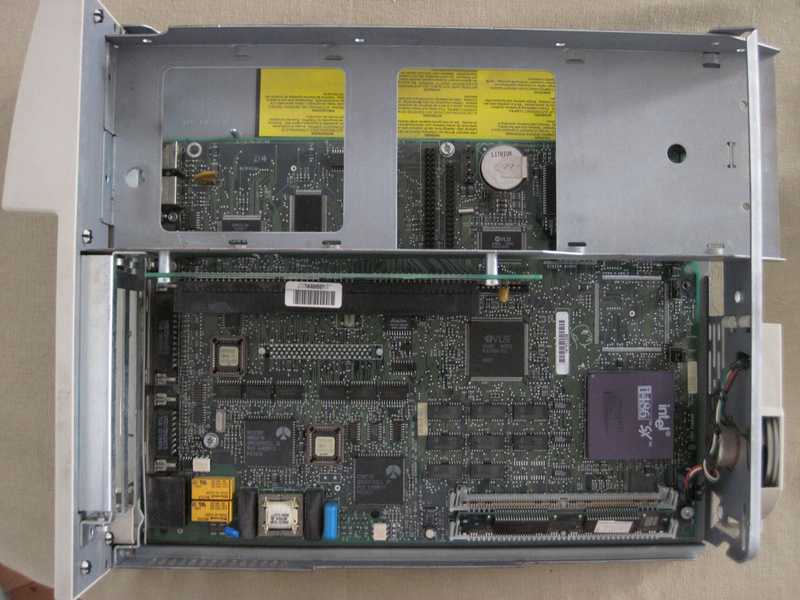 I upgraded first to an Intel 486DX2 66MHz (Ran OpenBSD). 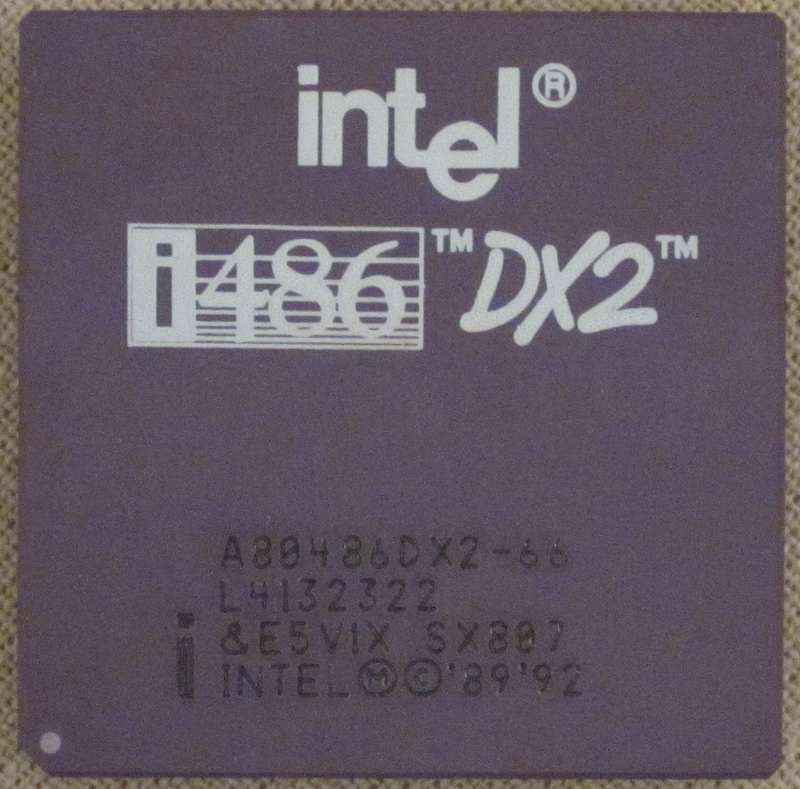 A 486DX (with FPU) is the minimum requirement to run OpenBSD/i386. 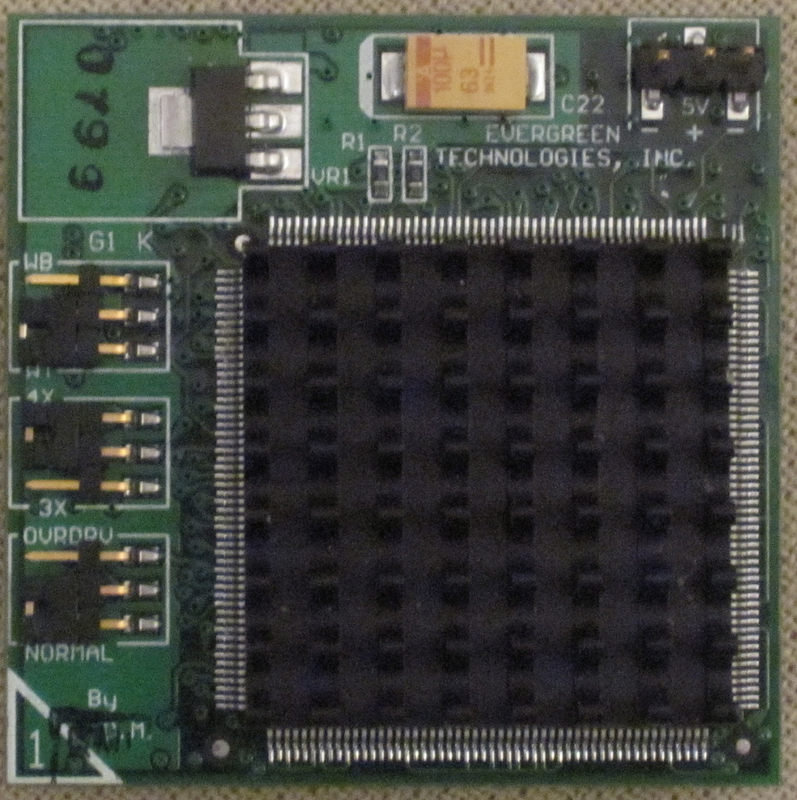 The Evergreen packaging makes the Socket 3 CPU backward compatible with the Socket 486/1/2. 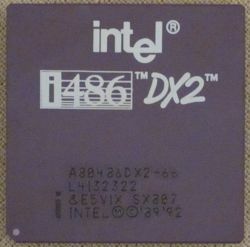 Memory was upgraded to the maximum of 20MB from the original 12MB. It run a slimmed down kernel to save much needed memory. OpenBSD 6.4 doesn't support this low amount of memory anymore in GENERIC kernels. 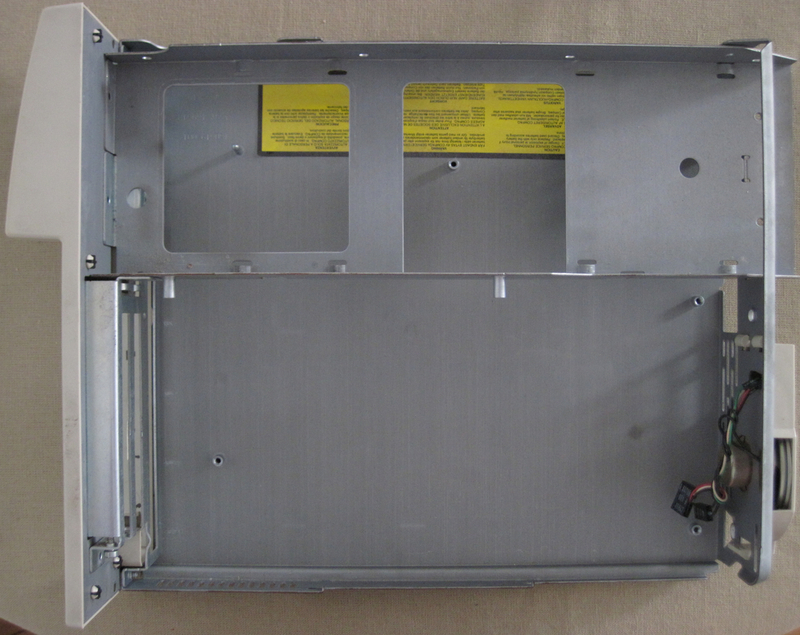 This installation is non-standard and unsupported. 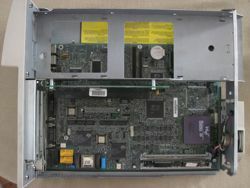 The network card on picture is a we0 but it gave me issues. 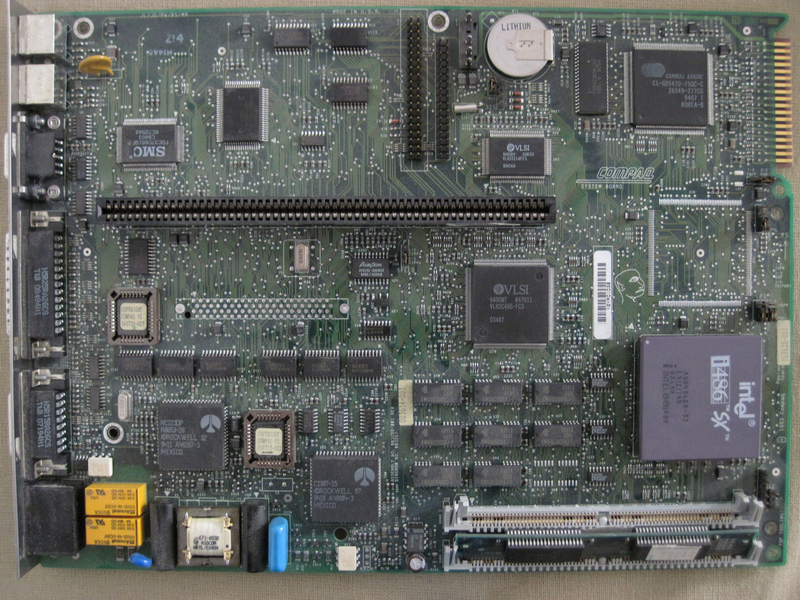 It has been replaced by a ALN101 (NE2000 compatible, jumperless ISA card). 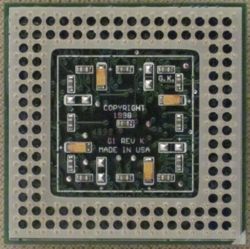 The BIOS does not support ISA-PnP. 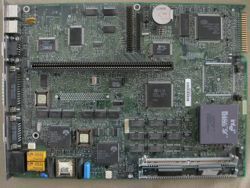 Which means ISA cards must be set with jumpers or through vendor supplied program. 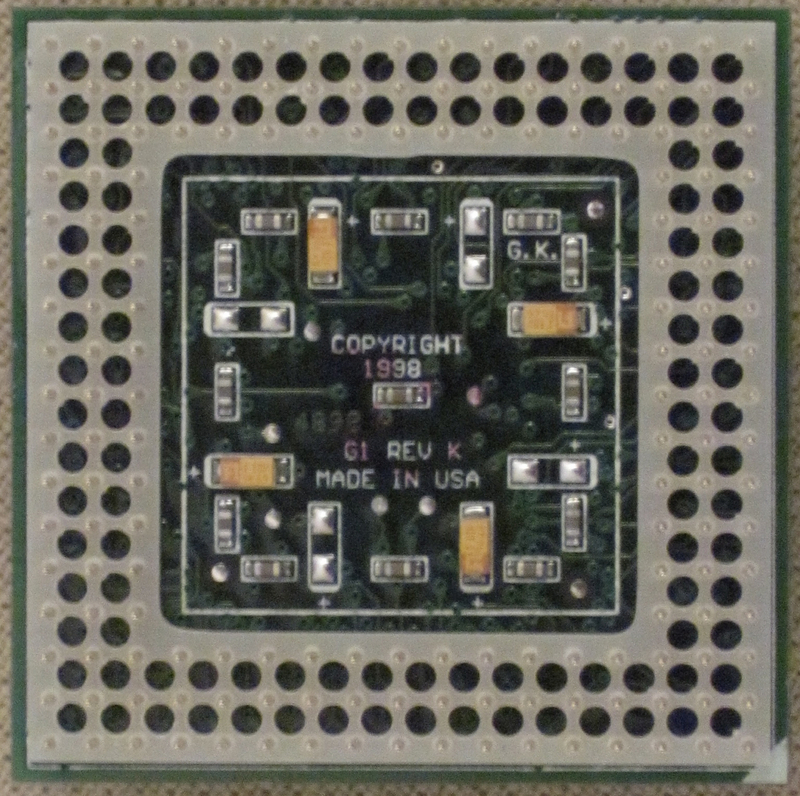 The network card is manually set to IRQ5 in order to support the DOS Packet driver. 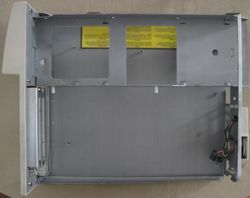 The power cord plugs in the back of monitor in such a way that it acts as a simple lock for the motherboard drawer. 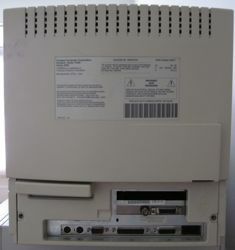 The original Compaq floppy disk died. It was replaced. The hard-drive crashed since. 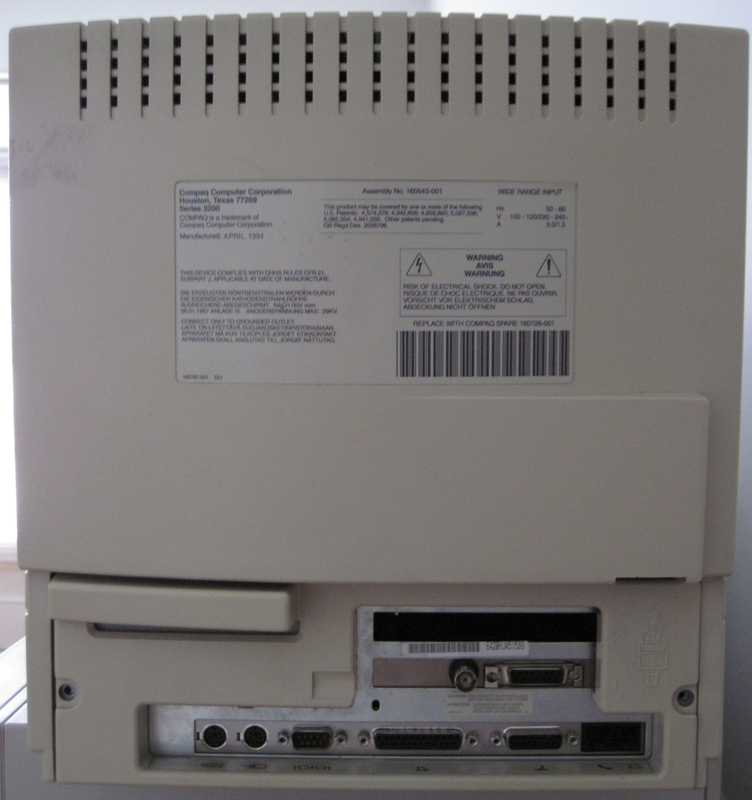 It was replaced with a 120GB IDE laptop drive in an adaptor. 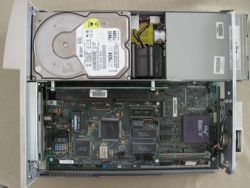 The BIOS has limitations for hard disk size. Natively, I wasn't able to go beyond about 1GB recognized. 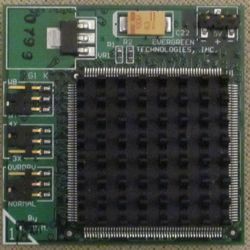 I now use the EZ-Drive int 13h extension boot software to access up to 8GB from DOS. 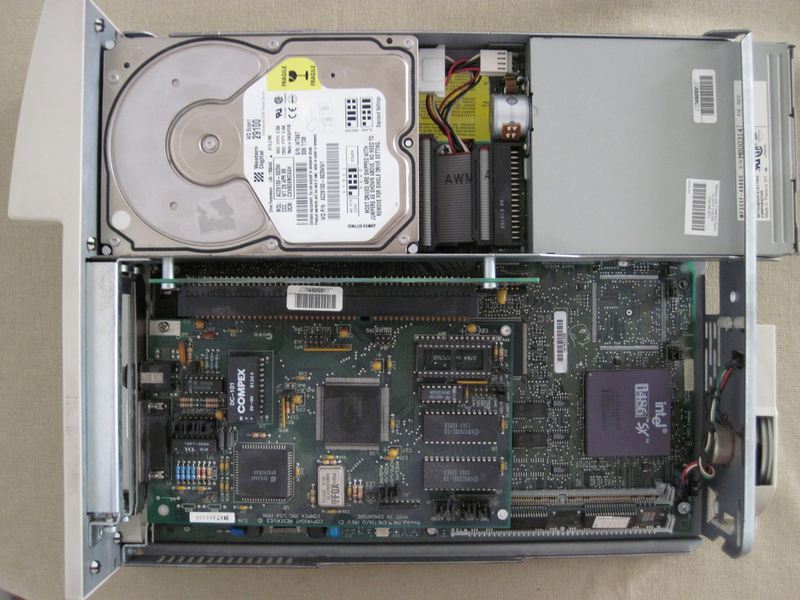 OpenBSD use LBA directly through the controller and can access the whole disk. 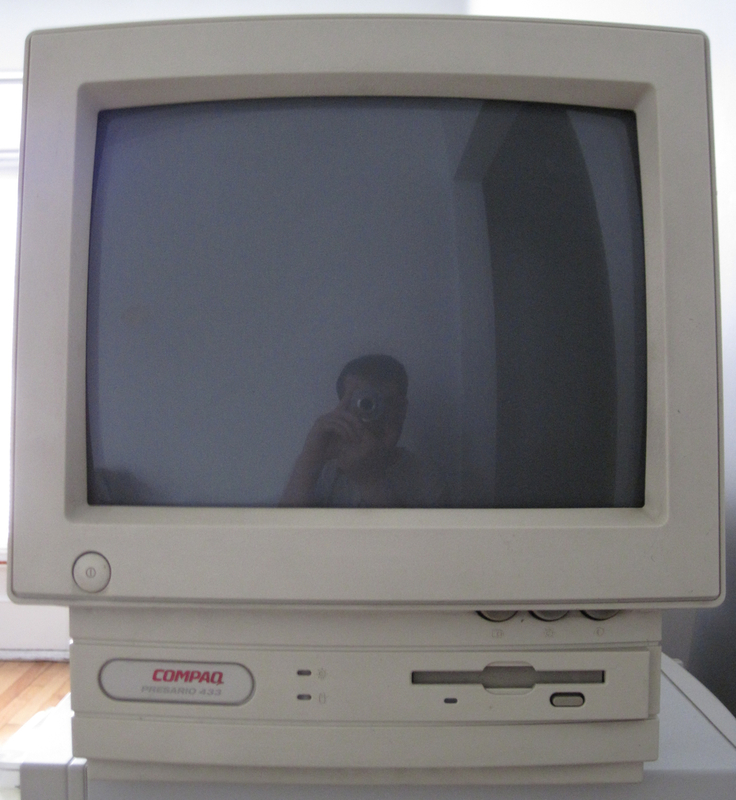 Video Cirrus Logic CL-GD5420 512K SVGA capable (800x600: 256 colors) built-in 14" monitor with inactivity timeout. All pictures are "(c) 2010 Hugo Villeneuve". Pictures are free to use for non-commerical purpose if copyright notice is kept. Use in any online auctions is forbidden.